HUGO, Victor. Poesie. 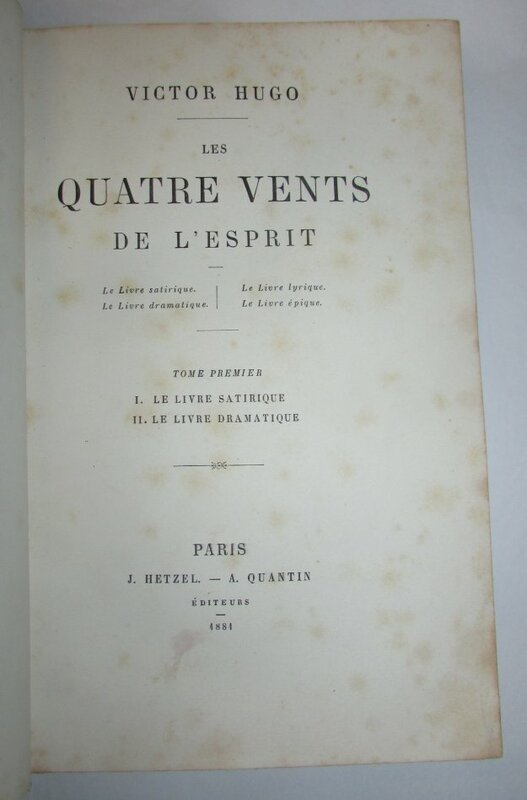 Les Quatre Vents de l'Esprit. Paris: J. Hetzel--A Quantin, 1881. In two volumes. 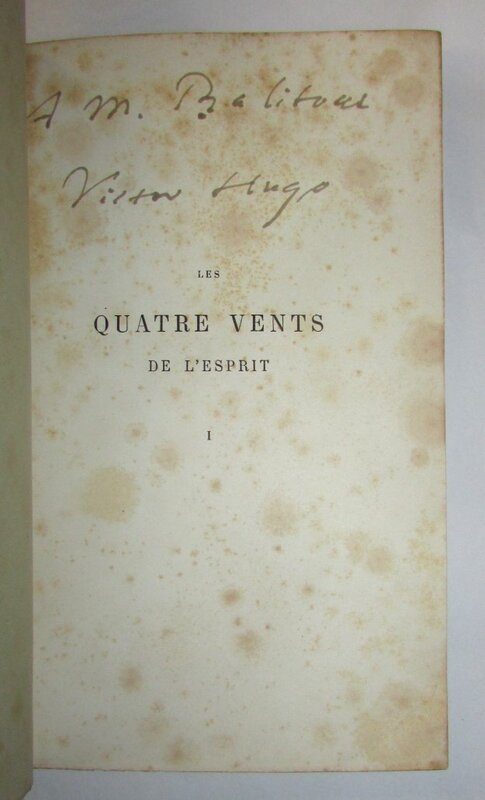 Inscribed by Victor Hugo on the half-title of the first volume. 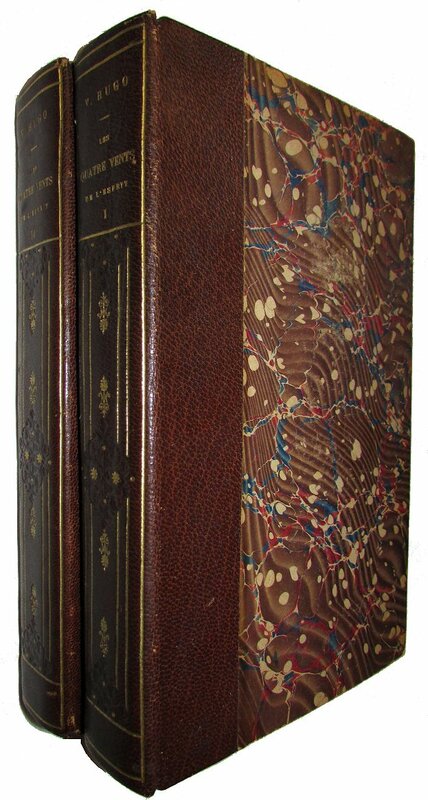 This is Volumes XV and XVI in � Edition Definitive D'Apres Les Manuscrits Originaux Oeuvres Completes de Victor Hugo Illustrees de Gravures a l'Eau-Forte D'Apres les Dessins de Francois Flameng' with the imprint on the upper wrapper reading �Edition Hetzel-Quantin Librairie L.Hebert. The Hetzel-Quantin edition was issued in 48 volumes, and it appears that Hebert issued a separate suite of 100 plates. (See Vicaire IV pp. 411 & 418). Tall 8vo., contemporary brown morocco spines, marble boards, gilt decoration on the spines, t.e.g., (8), (336); (4), (326)pp. With the original wrappers bound in. Some scattered foxing but otherwise a fine set.